Cocoa beans fresh from the tree are exceptionally rich in flavanols. Unfortunately, during conventional chocolate making, this high antioxidant capacity is greatly reduced due to manufacturing processes. - specially produced chocolate with preserved high flavanol (HF) levels. 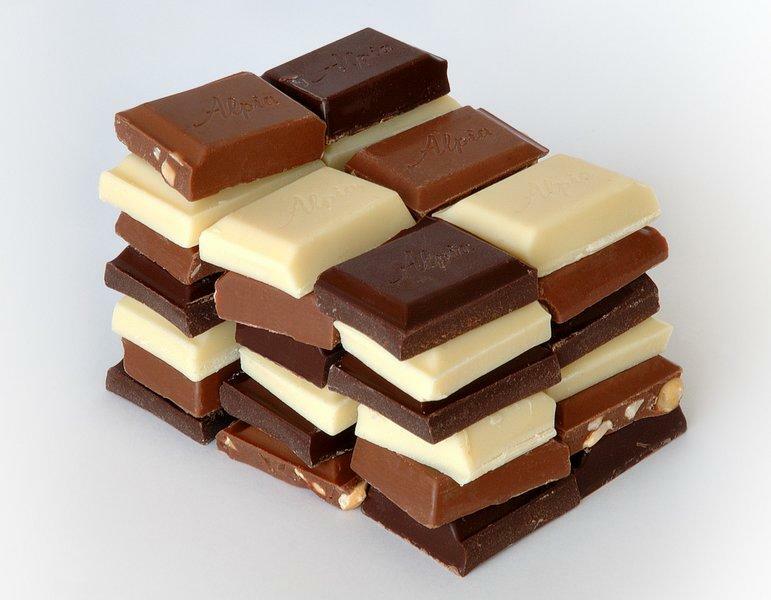 A double-blind in vivo study in 30 healthy subjects was conducted, 15 subjects were randomly assigned to either a high flavanol (HF) or low flavanol (LF) chocolate group and consumed a 20 g portion of their allocated chocolate daily. The minimal erythema dose (MED) was assessed at baseline and after 12 weeks. In the high flavanol (HF) chocolate group the mean MED more than doubled after 12 weeks of chocolate consumption, while in the LF chocolate group, the MED remained without significant change. The authors concluded that regular consumption of a chocolate rich in flavanols confers significant photoprotection and can thus be effective at protecting human skin from harmful UV effects. However, conventional chocolate has no such effect. Video: Chocolate Rain by Tay Zonday. Eating chocolate can significantly protect the skin from UV light. Williams S, Tamburic S, Lally C. J Cosmet Dermatol. 2009 Sep;8(3):169-73. While I find this bit of "chocolate" news interesting, I am disturbed by the five different chocolate ads that appear along side it.